A long-time Southern favorite and one of the finest early fall apples available. It originated in 1828 in Davidson County, North Carolina when John Kinny planted seeds of the Hall apple, another old time Southern favorite. It was once a very popular commercial variety in Virginia grown for its fine flavor and the hardy and productive nature of the tree. Fruit size is medium or smaller. 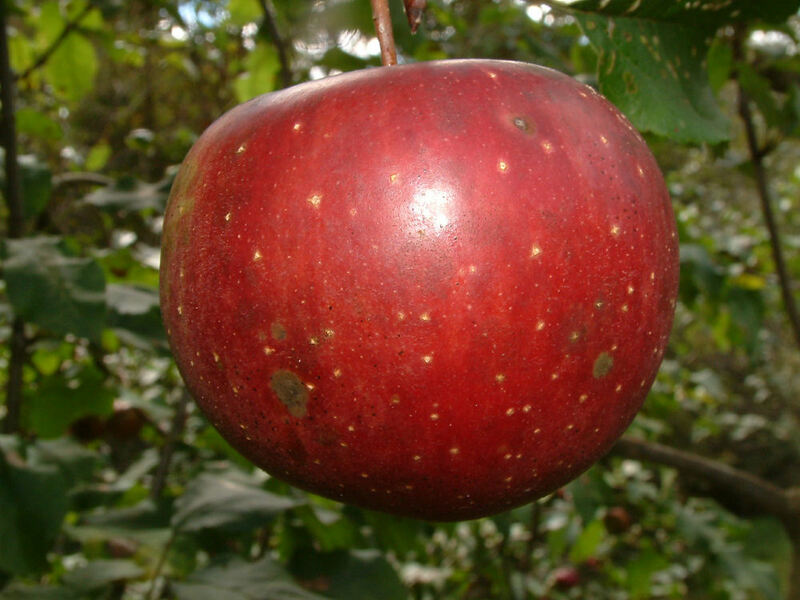 The yellow skin is mostly covered in light red and darker red streaks with numerous white dots over the surface. The fine-grained, aromatic white flesh is often stained with red near the outer skin. Ripens September to October and keeps fairly well if properly stored. Phone: (336) 667-5880. They sell high-quality apples including Magnum Bonum.